The virgin birth of the Messiah is a doctrine heavily promoted in Christianity. It is considered a foundational teaching about the Redeemer. How odd it is, therefore, to find that almost exclusively, there is only ever one passage in all of the Hebrew Scriptures that Christianity brings forth to substantiate the claim that the Messiah must be born of a virgin woman. That verse is found in Isaiah 7:14. Most translations contain the term “virgin” in this verse. The text actually uses the Hebrew term ALMAH, meaning “young woman,” and not specifically “virgin.” It is with this detail that Judaism takes issue concerning the concept of a virgin miraculously conceiving and bearing a son who would be the Messiah. The believer in the virgin birth need not be too entirely distressed at this detail of the meaning of the term, however, since every usage of ALMAH in the Hebrew Scriptures appears to be in a context of a young, unmarried female – a detail that would be assumed to refer to a virginal status in the Hebrew mindset. Although the term in Hebrew does not specifically mean a literal virgin, but an implied one, the ancient witness of the Greek Septuagint and the Aramaic Peshitta version of the TaNaK in this verse both yield terms that show even at such an early point in history, Jewish people widely viewed the term here as specifically referring to a virgin, as the Greek choice of PARTHENOS and the Aramaic choice of BETHULTA in those texts of this verse both mean quite literally “virgin.” This factor helps to bolster the claim of the virgin birth in a small way. These details serve well to tell that the ancient view of the verse did indeed consider ALMAH as indicating a virgin. This is helpful for the believer who may be discussing the matter with a detractor of such an idea. What it does not help to prove, unfortunately, is that the Messiah needed to be born of a virgin woman. That particular concept needs much more to bolster its validity than merely one single verse whose context can be argued to a certain extent. To the increase of His order and peace is no boundary; upon the throne of Dawid, and upon his kingdom, to solidify it, and to support it with justice and with righteousness from now, and until obscurity. The zeal of YHWH of armies shall perform this. The term “increase” in the above verse is the one singled out as important. 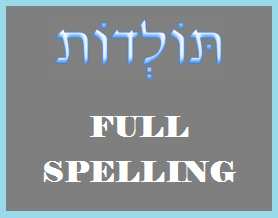 It is the Hebrew L’MAR’BEYH, and is a noun that means exactly that: “increase.” What is special about this term? In most scrolls of the prophet Isaiah, this term looks incredibly unusual. In the modern Hebrew alphabet (some 2,000+ years old, however), certain consonants take on a unique appearance when they are found as the last letter in a word. These special forms are called SOFIT forms – that is, “final” forms. The letter MEM is one such letter that has the typical form that is used when it appears at the beginning and in the middle of a word, and the SOFIT form reserved only for its usage as the last letter in a word. 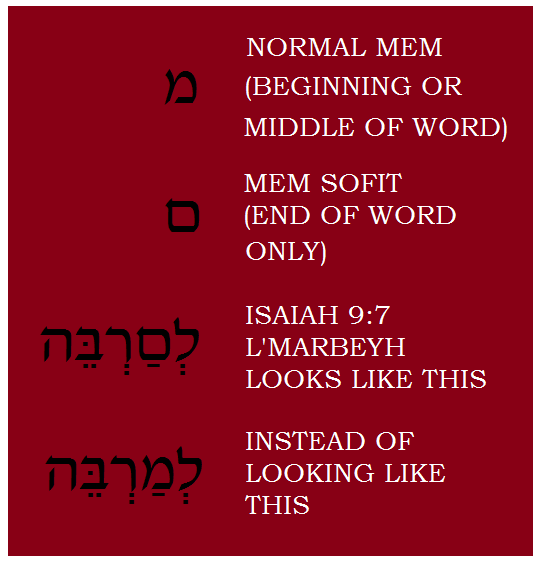 The rule is quite set, and yet, in most scrolls of the prophet Isaiah, at this particular word and this only in all of Scripture, the SOFIT form of the letter MEM is used within the word L’MAR’BEYH, and not the typical form one would expect to see there. Some Messianics turn to this verse to support the virgin birth concept by suggesting that the closed form of the MEM SOFIT presents the concept of a closed womb, that is, a virgin womb. In this manner, the virgin birth is presented to Jewish people as evidence contained in their own prophetic writings. While this insight might cause some Jewish minds to stop and consider what is being proposed, the problem with this particular method of asserting evidence for the virgin birth is that the letter is not written in this way in the oldest Hebrew copy of Isaiah in existence. That copy is one found among the Dead Sea Scrolls. The image included is a photo of that portion of the Great Isaiah Scroll with digital enhancements added to aide the reader. The scroll displays the normal MEM in the word L’MAR’BEYH in the red square, and it is clearly not the MEM SOFIT. SOFIT letters did exist at this early time, and a MEM SOFIT is used at the end of the preceding term to the right, just before L’MAR’BEYH, but the unique in-word appearance of the MEM SOFIT in the word that is so common now is not originally found in the word contained in the ancient scroll. This is problematic to the assertion that it points to the virgin birth of the Messiah, because the most antiquated text does not preserve such a presentation. This unique appearance of the MEM SOFIT in the word apparently developed some time afterwards. For those who may be interested in further textually-based elaboration on why the originality of the Mem sofit in the Masoretic text Isaiah 9:7 is of unlikely originality status, please see my addendum to this study: Mem Sofit in the Great Isaiah Scroll. Given these realities, how does one effectively arrive at a legitimate teaching of the virgin birth that uses Scripture to prove the matter? If both verses typically presented in order to substantiate a virgin birth can be readily questioned, is the concept of a virgin birth even valid in the first place? Thankfully, the idea of a virgin birth of the Messiah is actually necessitated by the Torah itself! This is a grandiose claim to make, assuredly, but the Law of the Holy One completely mandates that Messiah be born of a virgin woman, and does so in a truly fascinating manner. Some teachers, influenced by modern misconceptions and poor investigation are even misled to teach that the virgin birth of Messiah is a pagan idea, or is simply not supported by the Word. Therefore, it is important for teachers and students alike to know that Torah concepts demand the Messiah be born of a virgin woman, and substantiates the Scriptural account about Yeshua. This study will now take a close look at exactly how the virgin birth of the Messiah is a necessary detail for His coming, and is also hinted at in surprising ways in the Torah itself. In Genesis 1:11, 12, 21, & 24, the Creator mandates that all living things must reproduce “after their kind.” A flower reproduces a flower. A bird reproduces a bird. A cow reproduces a cow. In like manner, humans reproduce humans. This is creation law. This is biological necessity. And the Deity spoke, “Let sprout the earth sprouts, green herbs seeding seed, a fruit tree making fruit for its kind, whose seed is in it, upon the earth." And it was thus. And the earth sprouted green herbs seeding seed, for its kind, and a tree making fruit, whose seed was in it, for its kind. And the Deity saw that it was good. Kind must reproduce kind. It is an incredibly simple concept to grasp, but is vital to understand this foundational truth to understand the virgin birth of Yeshua. With this in mind, what is the very first commandment given to mankind? It is to reproduce. Now, did the first man and first woman obey this commandment? Not at first, anyway. They did reproduce, but that was not the first thing they did. Scripture tells us exactly what they did before they procreated. 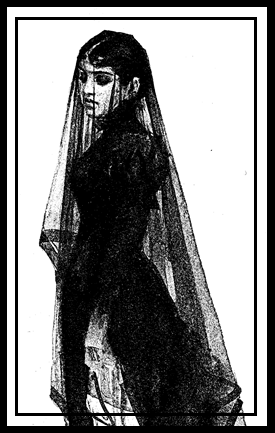 And He shall devour on this mountain the face-covering covered upon all people, and the veil veiled upon all the nations. He shall devour death in victory, and Master YHWH shall wipe tears from upon all faces, and the rebuke of His people He shall remove from upon all the earth, for YHWH has spoken. Adam brought a spiritual death to every man, and that is finally manifested in physical death. Because of Adam’s rebellion, we are all essentially brought into this world spiritually stillborn. Now, note well that Scripture tells us clearly that Adam only reproduced for the first time after his rebellion, after his sin (see Genesis 4:1), and thus, all children born to him are broken, tainted by his act. We are spiritually severed from the Holy One because of Adam’s previous choice to rebel. When he did finally procreate, he did not reproduce after his own kind, as was intended. Rather, he sinned, and only afterwards did he reproduce, and the result was not the seed intended by the original decree of the Holy One to fill the earth. Instead, he reproduced a broken, fallen man, just like himself. He created a race of beings spiritually dead at the moment of conception. No matter how many times Adam might reproduce, and no matter how many times his sons might reproduce, they did and will always beget a broken, sin-tainted creation. There is no way that a son of Adam can be anything else than broken in nature. With a simple understanding of what disaster Adam wrought upon all his seed, we now need to move to the next amazing detail in correctly perceiving the necessity of the virgin birth for the Messiah. We are going to talk about an unusual topic, but one that fits right into this whole matter. YIBBUM marriage, or what is otherwise known as Levirate marriage. Literally, this Hebrew term comes from the Hebrew root YIBEYM, and designates the concept of “Relative marriage.” The idea is that when a woman’s husband dies, her husband’s brother, or the next nearest of kin, would take her to be his wife, give her children, and take care of her. The concept has been practiced by many cultures of antiquity, and to some extent, is still practiced to this day. Scripture deals with this very odd method of marriage several times. This topic, while admittedly strange, is key in understanding the virgin birth of the Messiah Yeshua, and so we will now look at the instances in the Word where it is dealt with, in order to see the amazing underlying purpose of this method of marriage. The very first time this is recorded is actually in a surprising account in Scripture. In Genesis 19:30-38, we read the scandalous story of Lot and his two daughters who escaped from Sodom and thought everyone else to be dead. 19:30 And Lot ascended from Tzo’ar, and dwelt in a mountain, and his two daughters with him, for he feared to dwell in Tzo’ar. And he dwelt in a cave – he and his two daughters. 19:31 And the first born said to the younger, “Our father is old, and man is not in the earth to come upon us, as the way of all the earth. 19:33 And they made their father to drink wine in that night, and the firstborn went in, and she lay with her father, and he did not know when she lay, and when she arose. 19:35 And they made drink wine also at that night their father, and the younger arose, and lay with him, and he did not know when she lay, and when she arose. 19:36 And the two daughters of Lot were pregnant from their father. 19:37 And the firstborn birthed a son, and she called his name Mo’av: he is the father of Mo’av unto today. 19:38 And the younger, she also birthed a son, and she called his name Ben-Ammi: he is the father of the sons of Ammon unto today. While this account is very disturbing on many levels, the key to take from this historical event is that these two daughters were practicing a warped form of YIBBUM marriage. These two daughters were not married previously. They were virgin daughters who still lived at home with Lot and his wife. Lot had at least two other daughters who were married, and whose husbands mocked at his pleas to flee the town before destruction came upon them and their wives. Therefore, these two virgin daughters who were not yet married did not actually perform the true version of YIBBUM marriage, but a horribly skewed one – firstly, because they were unmarried, and secondly, because they just desired descendants, and did not await to see if any other men had survived the conflagration that had consumed the countryside. The disturbing, yet very important factor in all of this is that they chose their father as the individual with whom to procreate. 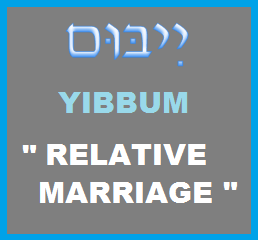 YIBBUM / Levirate marriage is spoken of again in the Scriptures in Genesis 38:1-30. Due to the extremely lengthy nature of the text, I will not include the verses here. However, do please take the time to read this story if you are not familiar with it, as it is vital to the study to understand the virgin birth. To give the short of it, Judah’s son Er marries a woman, Tamar, and he dies before he can give her a child. She is then given Judah’s second-born, Onan, in order for him to give her a son for his deceased older brother, performing the task of YIBBUM marriage. Onan accepts the task, but refuses to perform the necessary requirements to actually give her a baby, apparently seeking only pleasure and not responsibility. He dies by the hands of heaven for this selfishness. Tamar then wishes to have Judah’s third son for this task of getting a child, but Judah, for fear of losing a third son, refuses her. She takes matters into her own hands, deceives Judah by dressing up like a prostitute, and ends up becoming pregnant with Judah’s own children – twins! In this, she preserves the firstborn lineage of Judah. Had she not, the firstborn status of the tribe of Judah would have ended right there in time because no seed would have come from the firstborn. Tamar was very truly performing what is known as YIBBUM marriage. Tamar understood the necessity of having the firstborn child carry on the lineage of the firstborn. That is why she ends up going to the father – to Judah – to maintain the firstborn “after his kind” line. To be sure, it was a desperate move to make on her part, but the circumstances as they were demanded that something unnatural happen in order to promulgate the line of the firstborn, which is why even Judah proclaims after it is all over and her actions are found out, that she has been “more righteous” than he. He finally realized the weight of what he had been denying her, and the intent of her heart was shown to be upon righteous matters. Although the two instances recorded thus far are before the Torah’s commandments were given to the nation, the Torah goes on to actually command that YIBBUM be done in such a situation as originally depicted in the story of Tamar – minus the deception part. You can read about it in the book of Deuteronomy 25:5-10. 25:5 If brothers dwell together, and one of them dies, and there was no son for him, the wife of the dead shall not [go] out to a man, a stranger: her levir shall come upon her, and take her to him for a wife, and shall be a levirate. 25:6 And it shall be that the firstborn she births shall rise up upon the name of his brother, the dead, and his name shall not be wiped out from Yisra’El. What this shows us is that the Holy One takes the matter of kind reproducing after kind very seriously. What had been tradition among the peoples eventually took on the sanctity and gravity of divine dictate. Custom became commandment that carried with it true consequence if flouted. After the Torah came to be, there is one more instance in the Word of a YIBBUM / Levirate marriage taking place – the book of Ruth. The book of Ruth is centered entirely on the concept of YIBBUM commanded in the Torah! Ruth’s husband dies, and although born a Gentile according to Judaism, Ruth remains with her Jewish mother-in-law and seeks out the fulfillment of the Torah in the person of Boaz. Boaz accepts the duty of the levirate, and takes her to him as wife. She ends up conceiving and giving birth to Obed, the grandfather of King David! An interesting detail here is that the child born in this manner, according to the Torah, is to be raised up as the son of the deceased husband, and yet, in a surprising turn of events, Ruth 4:21 lists Boaz as the father of this new son. This detail is important in itself, and will be returned to shortly. Another hint in all of this is that Tamar was looked at badly by Judah, as having been promiscuous and having a child out of wedlock. Similarly, Ruth was initially viewed in a negative light by Israel, since she was a Moabitess, and not a native Israelite. In like manner, Mary is viewed by Judah / Judaism in the same way – as guilty of having a son out of wedlock! The prophetic patterns are perfectly in place! 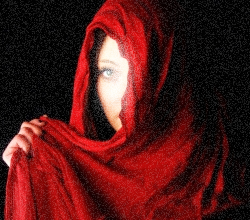 It is with this particular understanding, coupled with what sinful action Adam performed before procreating that brought a spiritual fall to all men, that we can see why Yeshua needed to be born of a virgin. In the book of Luke 3:38, after giving Yeshua’s lineage, Luke goes all the way back to Adam in the long list of “begets.” However, he doesn’t stop at Adam. Rather, he says that Adam was begotten of the Deity. Therefore, the “father” of Adam is none other than the Creator! Adam spiritually “died” before he could fulfill the first commandment given to him to reproduce. Therefore, Adam could not fulfill the duties originally placed upon him towards Eve. He had left unfulfilled the obligation to give her a sinless son. He left her without a true child in his original image. The firstborn, Cain, was truly a spiritually stillborn human, not in the image of Adam’s original purpose. Thus, the requirement of YIBBUM marriage for the woman needed to be met. Only the Creator could perform such a thing. There were no “next-of-kin” of Adam other than the One in whose image he had been made! Do you see the amazing reality taking shape in Torah? The Holy One had to produce a son for Adam. He had to take it upon Himself to be the surrogate for His first creation. The Holy One Himself became the Levir who performed YIBBUM for Adam, honoring His creation and the debt that Adam owed to the first woman! It would be the Creator Himself who had to perform the Torah commandment of levirate marriage, for Adam did not, and could never again do so, because of sin. In this amazing realization, the concept of the virgin birth is seen to be an absolute necessity based on the Torah itself! The virgin birth is thus an entirely Hebraic concept that is in no way foreign nor in opposition to Judaism. Rather, it is something that Judaism and Christianity have unfortunately not yet properly understood, because it does require a very careful approach to the reality of revealed Scripture. One must remember that if it is a spiritual reality, then it is a Torah reality. A spiritual reality must of necessity be validated within the text of the Torah, and we find that this is exactly the case concerning the virgin birth! 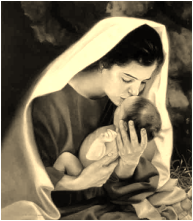 …and he did not intimately know her until she birthed her Son, the Firstborn, and she called His Name Yeshua. Before continuing, it is of interest to note that according to the rabbinic record of the Samaritan people as preserved in the Talmud, tractate Kiddushin 65b, the custom of the Samaritan people in Israel regarding YIBBUM was that it could only be performed if the woman had been betrothed to be married, but had not been able to actually consummate the marriage due to the untimely death of the groom. In this respect, it would have aligned in a spiritual way with Adam’s sin occurring before he ever gave a child to his wife, and, if the text is to be strictly followed literally, before he ever even knew her sexually. Such a detail would also align with the fact that Mary became pregnant by the power of the Spirit while betrothed to her husband, but before consummation occurred. And she bore her Son, the Firstborn, and she wrapped Him with swaddling, and she placed Him in the trough, on account that there was not for them a place where they were lodging. And from before He knew them, and inscribed them in the pattern of the form of His Son, that He should be the First-born of many brothers. who is the Image of the Deity who is not seen, and is the Firstborn of all creation. And I shall pour upon the House of Dawid, and upon the dwellers of Yerushalaim a spirit of grace, and grace-prayers, and they shall look upon Me whom they pierced. And they shall mourn concerning him as a mourner concerning his only-begotten, and be bitter concerning him as one is bitter concerning the firstborn. And the Word was flesh, and overshadowed among us, and we saw His glory – glory as of the only-begotten who was from the Father, who was full of goodness, and the truth. No man has ever seen the Deity; the only-begotten of the Deity –He who is in the innermost of His Father– He has conveyed Him. For the Deity thus loved the world, that His only-begotten Son He should give, that all who are trusting in Him shall not perish, but there shall be for him the life that is everlasting. He who is trusting in Him is not judged, and he who is not trusting, he is sufficiently judged, that he did not trust in the Name of the only-begotten Son of the Deity. In this is recognized the love of the Deity towards us: the Deity sent His only-begotten Son to the world, that we should live by His hand. Thus also it is written: “Adam, the first son of man, became a living soul,” and the last Adam a life-giving Spirit. The first son of man was earthy, who was from the earth; the second Son of Man was MarYa, from the heavens. Yeshua is the Firstborn because He is the legal firstborn of Adam that was not born in sin. He is the Firstborn in that He is the literal Son of the Holy One. Whereas Adam was created from the earth, Yeshua, the Son of Elohim, was literally born of a woman. Yeshua is the Only-Begotten in that He is the only true son born to Adam without sin. Yeshua is the Only-Begotten in that He is the only Son born to the Holy One. Yeshua is the Heir of all things in that He rightfully assumes inheritance of what was originally given to Adam. Yeshua is the Second Man / Last Adam in that He is literally only the second true human to ever exist, as all others were spiritually “mutated” by sin, and He is the last Adam in that no further sons would be birthed for Adam like Yeshua was birthed. The concept of the failure of Adam to reproduce as he was commanded to do so in Eden, and the resulting spiritual scarring that occurred in all subsequent men, as well as the eventual rectification of it all through the coming of the Messiah by YIBBUM / Levirate marriage, is profoundly preserved in the Hebrew text in a manner worthy of our attention. The first time the term is used in the Word is right here, and this is written about the nature of the creation; no sin or rebellion has taken place. All is well in the world that the Creator made. All “births” are perfect and without sin. Had Adam continued in harmony with the Holy One, any progeny from him would have remained as he was in his creation – pure. Unfortunately, we know that is not how things played out. This is Ktiv Khaser spelling. It lacks one letter. This is speaking of the “generations” of Adam. There is something wrong. Sin has entered in. The “births” are not pure. Man was banished from the Garden and only afterwards did he have relations with his wife, which produced children possessing the intrinsic error that flowed through the veins of their father. This particular spelling is as defective as it is ever written throughout the rest of the TaNaK. Notice that it is only at the discussion of the genealogy of Ishmael. 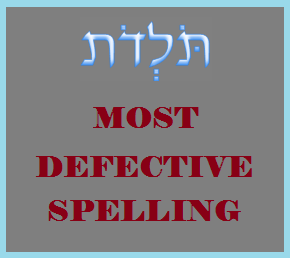 This is highly significant in itself, as the term in its most defective spelling is something of an anomaly, if looked at in a deeper fashion. Pay careful attention to the spelling of the term here – it lacks both occurrences of the letter Waw / Vav. This lack of both speaks volumes to us in the symbolism of the term. Without the letter Waw / Vav present, it appears as if the very root of the word has been altered. Although the word still means the same, the appearance of this strange spelling is a hint that we can see the symbolic consequence of Adam’s error in a unique manner. 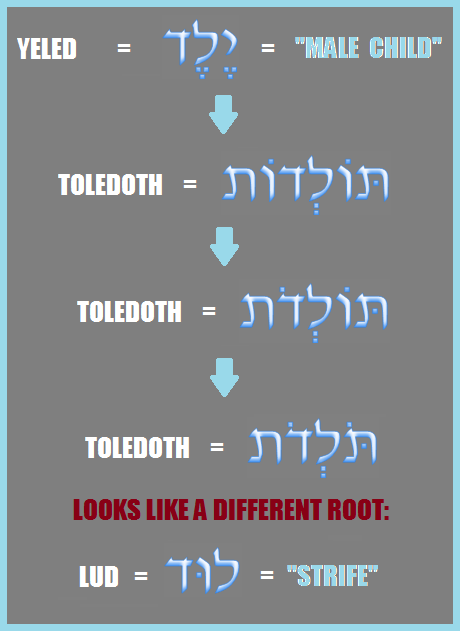 The root of TOLEDOTH is YELED, and literally means “male child.” The word begins with the letter Yod, and only in proper Hebrew grammatical inflection does the Yod transform into a Waw / Vav. However, with the complete lack of the initial Waw / Vav, it looks like the root is destroyed in the most severe version of the defective spelling. In this case, it looks like the root has changed to that of LUD, which means “strife” in Hebrew. Therefore, instead of the hope of a “male child” seed who would rectify the sin of Adam, what Abraham produced in his attempt to fulfill the promise on his own power and without the necessary woman – Sarah – he gained the counterfeit – Ishmael – who would bring only strife. The letters beginning and ending the term that would then surround the “strife” LUD are the letter Tav, which itself was originally written as a slanted cross in Palo-Hebrew. That itself is telling – Ishmael may have looked anointed at first, but upon closer inspection, his heart was full of strife. Note well what the topic of Ruth is all about. It is an entire book of Scripture that revolves around the concept of YIBBUM marriage! Ruth seeks a child because her deceased husband was unable to give her one, and Boaz fulfills that duty, setting into motion the lineage that directly leads to the Kings of Judah. But there is something else worthy of note in this placement of the correctly-spelled word: it appears in the lineage and starts not with Judah himself, but with the firstborn son of Tamar and Judah who was produced by the union of YIBBUM marriage! It starts with Pharetz, the firstborn of the twins she birthed after having relations with Judah. In Hebrew, Pharetz means “Break Forth,” as the manner of his birth was truly a miracle / amazing circumstance of childbirth, for he was in a way the second-born, as his brother Zerakh put forth his hand from the body of Tamar first, upon which was tied a scarlet thread, but then was pulled back into the womb in an astonishing and certainly painful turn of events, so that Pharetz came forth first. 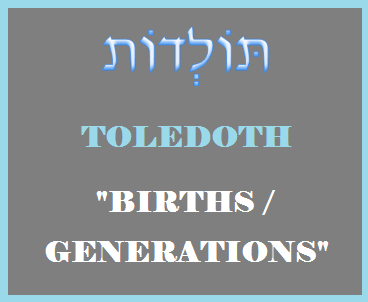 Isn’t it rather odd that the term TOLEDOTH is spelled fully only at the mention of Pharetz, whom Tamar brought forth by performing an unnatural YIBBUM act with the father of her deceased husband? This is once more an inspired hint in the text of Scripture that the line of Messiah, although of the tribe of Judah, starts spiritually through the act of a Spirit-led YIBBUM, and not a natural birth. It is this act that allows the original desire of the Holy One to PHARETZ “break forth” into the line of man once again! All this points us to the link of going to the Father. Judah was the father of Tamar’s husband, and ended up being the father of her children. Lot’s daughter, who had relations with her father, named her son Mo’av, meaning literally “From Father.” The link is established quite strongly. The Father would go to the woman who was wronged, who had not been given a child from Adam that was truly alive, and in doing so, the result would be the Savior! The writing of the genealogy of Yeshua the Messiah, the Son of Daweed, the Son of Awraham. 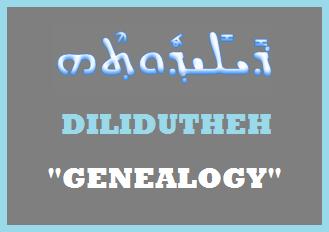 DILIDUTHEH is the Aramaic cognate word for the Hebrew TOLEDOTH! 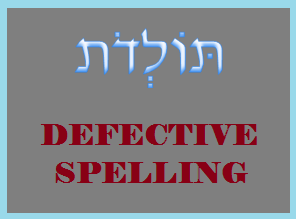 Although pronounced somewhat differently than the Hebrew version, these two words are actually the same Semitic term, altered only due to the nuances of spelling, pronunciation, and grammar that developed between the two languages! The Aramaic is spelled “fully” here once again, in the first chapter and verse of the New Covenant, signaling to all that the restoration has begun, that the pure Son commanded of Adam has now been born, and it is done through the Torah’s commandment of YIBBUM! In the woman’s egg and the man’s sperm, both contain mitochondrial DNA, designated as mtDNA. The mitochondria themselves perform an action called “respiration,” and give energy to the cell itself. The mitochondria, in a very real and unique way, “breathe,” which could possibly be hinted at as the continued presence of that original breath from the Most High that He breathed into mankind. The male’s sperm contains the mitochondria in its tail, which is lost at the first piercing of the egg, and does not, under normal biological processes, enter into the new life that is created; only the female’s mitochondria is carried on – it has been this way since Eve. 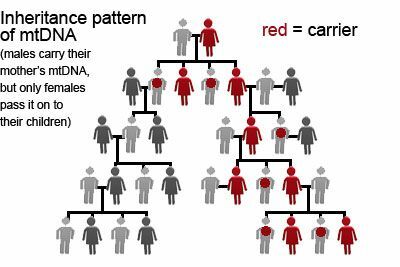 What this shows us is that Adam’s original mitochondrial DNA died with him! In fact, it shows us that every man’s mitochondrial DNA dies with the man. They are not passed on into the new life that is formed in reproduction. The mother's mtDNA do go to the son, but they do not pass on when he procreates. What does this tell us? It shows that the original mitochondrial DNA of the first woman is essentially intact, and thus provides a link from Eve to every single woman who has ever been born. Every woman is, in a very real biological way, Eve! This detail shows us that the Holy One could legitimately and legally use any woman’s egg in the process of conceiving the Messiah! It would be entirely up to Him when it would happen, and who it would be that would carry the Son that Adam was originally supposed to give his wife. This does not mean that a woman, or Mary in particular, would be viewed as sinless, but that the hereditary authority of Adam is passed on through the males, while the original mitochondrial mtDNA is only carried on by the females, which allows a channel / vessel preserved from Eve down through time to every woman born. Although born in sin, and certainly tainted with the consequences of Adam's choice, the woman has preserved in mtDNA a link all the way back to the original woman. Now, while the male does not pass on his mitochondrial DNA, both male and female do pass on alleles, which are genes defining hereditary traits for the new life. This factor presents the problem that prevents any male born of Adam physically from being the Messiah. The sinful traits that were inserted into Adam at his rebellion are embedded in our very DNA. These alleles are passed on, with all their spiritual consequence, from Adam to every single male ever born. Without the presence of Adam’s faulty alleles and the heredity of death that he passes on, Messiah was literally free from the consequences of Adam’s choice in the Garden. Messiah possessed no hereditary genes that came from the male line. He possessed all the physical traits of man aside from the sinfulness that is passed on from one man to the next through the hereditary genes of alleles, just as Adam himself was truly a man, yet made by the Holy One! The Creator worked seamlessly within His own laws of kind reproducing after kind and the law of YIBBUM to bring about the Messiah in a legitimate virgin birth! The absolute necessity of the virgin birth can thus be shown by carefully explaining how the Torah wove the mandate into the inspired narrative, in order that we could see the spiritual reality that would enable the Messiah to enter this world to bring true and final rectification of all that Adam lost.